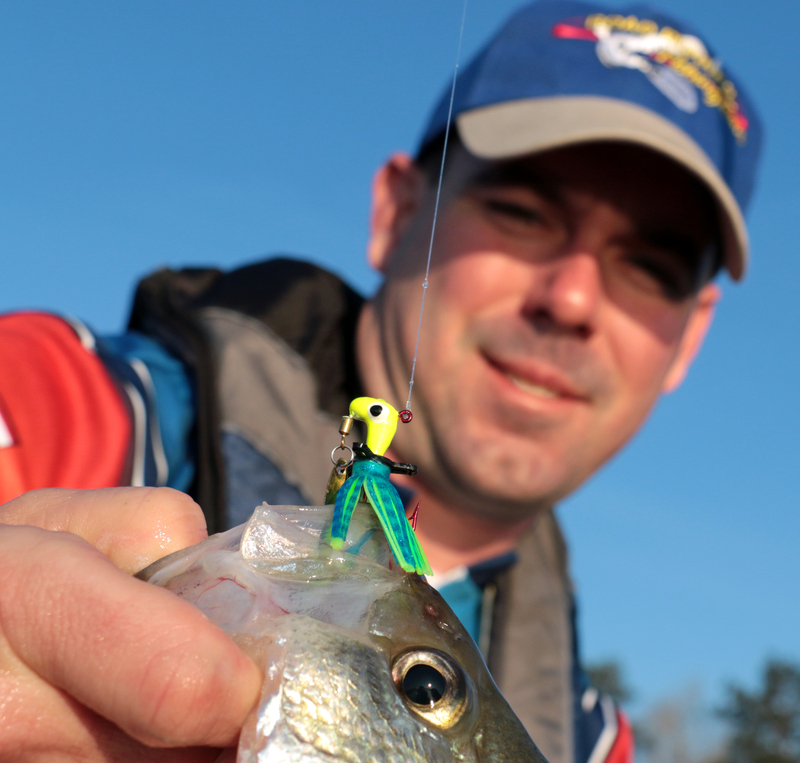 ← Look back and forward to be a better angler. Adapt, change or fail with fish. ZipTailz and Pro Series Road Runner Heads did the trick. The water temperature was down five-degrees. The water was muddy too. Those are tough conditions, especially when seeking “picture” quality fish. Fortunately I was with Crappiemasters Pro, Jonathon Phillips. He and his family stay on top of the fish. Today was a challenge. We tried everything. We sped up, slowed down and changed colors. We just enjoyed the scattered bites we had. However, one combination caught the biggest fish. Phillips is on the ZipTailz pro-staff and added one to a Road Runner Pro Series head. At the end of the day, that combination won “big fish” for our boat, a dozen times. We adapted, changed and experimented. We bagged dinner and some good photos. This entry was posted in Fishing and tagged Crappiemasters, Road Runners, Ziptailz. Bookmark the permalink. 1 Response to Adapt, change or fail with fish. I have noticed that the road runner is great at triggering sluggish crappies and jumbo blue gill. Adding a tail can slow it down and entice even more. I try to keep a fe handy at all times.